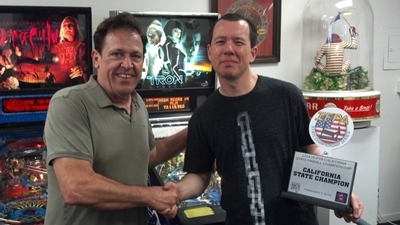 The top 16 battled it out at the Pacific Pinball Museum for the IFPA California State Pinball Champion title. 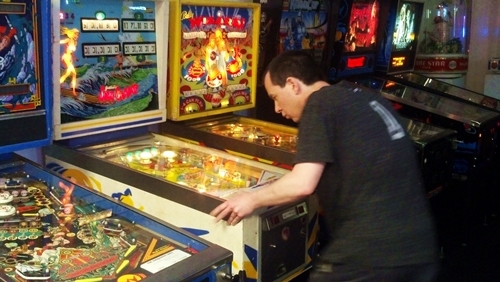 The winner of the tournament goes on to play in a National-level competition later this year. The final match was a great North versus South matchup between Karl DeAngelo of Fontana in So Cal and Andrei Massenkoff of San Francisco. 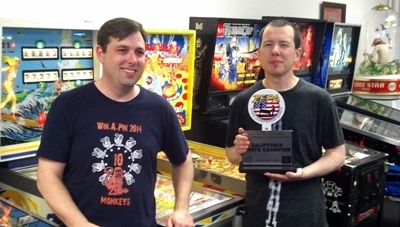 Karl recently won the It Never Drains in Southern California PAPA Circuit event against a tough field, and led out the Final match against Andrei with two quick wins. Andrei rallied back with a huge ball 3 on Eight Ball Deluxe to almost double Karl’s score. From there, Andrei went on to take the next three straight and the title. Congrats! 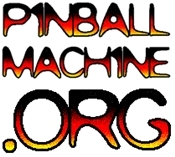 Thanks to the Pacific Pinball Museum for the hosting the event, Damien Charlety as Tournament Director and Andy Kuntz as pinball tech.